I. WAS. OBSESSED. (And I still am). The majority of this post was written a day after getting back from a weeklong family trip to Los Angeles, San Diego, and Las Vegas, but being a lazy college student on summer break, I didn't want to upload my pictures. 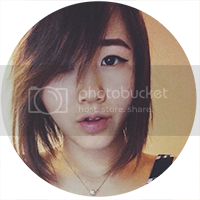 So here I am, several months later, pictures finally uploaded, and the post is finally going up. After over 24 hours of traveling (two flight delays, a rebooking, scrambling around the Dallas Fort Worth airport, spending the night in Dallas, waiting an hour to pick up the rental car, and changing 4 hotel rooms), I was (predictably) starving (and irritated) and ready for something warm and comforting. 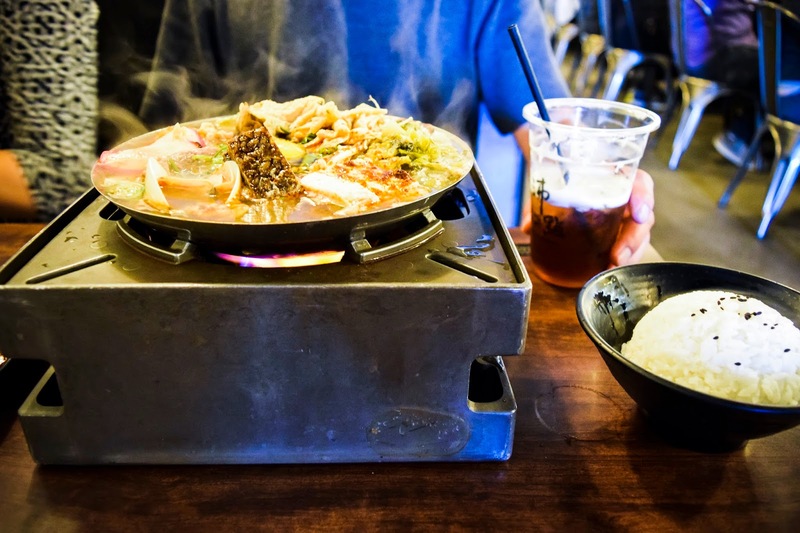 I stayed relatively close to LAX while most of the places I wanted to try out where around the San Gabriel Valley or downtown, but because we didn't want to deal with LA traffic, Boiling Point was the best choice. Even though we were there at about 1:45 in the afternoon, the wait was still 30 minutes long. While I was waiting, my parents talked to some of the locals and the wait today was actually surprisingly short. Sidenote: the wait system is a bit different from what I'm used to. There is a cute little table that you sign in with your name and number of people in the very front, you put down your info, and then wait outside for them to call your name. After we were seated, we got seated and immediately place our orders (like I said, we were starving). 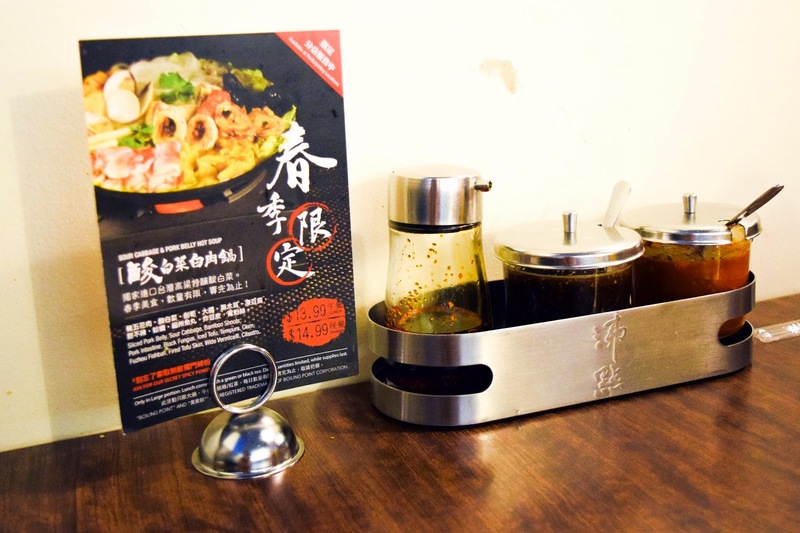 For lunch, the combo is $9.99 for regular sized pots, plus rice or noodles, and black or green tea and $13.99 for large sized pots. My mom ordered the Taiwanese Spicy, my dad had the Lamb spice level medium, and I had the House Special spice level flaming spicy. We decided to order two green teas and one black tea and rice for everyone. Quick side-note: See the sauce on the table? You have to use them. They are absolutely delicious. My parents' two orders came out relatively quickly, all hot and bubbly, but unfortunately something went wrong with front and back of house communication, and my order was never put in. The server was extremely apologetic though, quickly informed me of the situation, and about 10 minutes later, my food was out in front of me. The reason I wanted to get the House Special pot was the stinky tofu. When I was younger, I had the strongest aversion to stinky tofu, but after trying it in Taiwan a few summers ago, I was hooked and unfortunately it's just hard to get in the States. While the ones in my pot did have the distinct, fermented taste, it was definitely really weak and probably palatable to the general population. And the spice level. Oh. My. Goodness. That hit the spot reeeeallllly well. If you are at all weak about spice, get either mild or the lowest spice level. While I could handle the flaming spicy reasonably well, my mom was nearly crying with hers. My dad, who is Sichuanese even agreed that the medium spice level was the most appropriate. 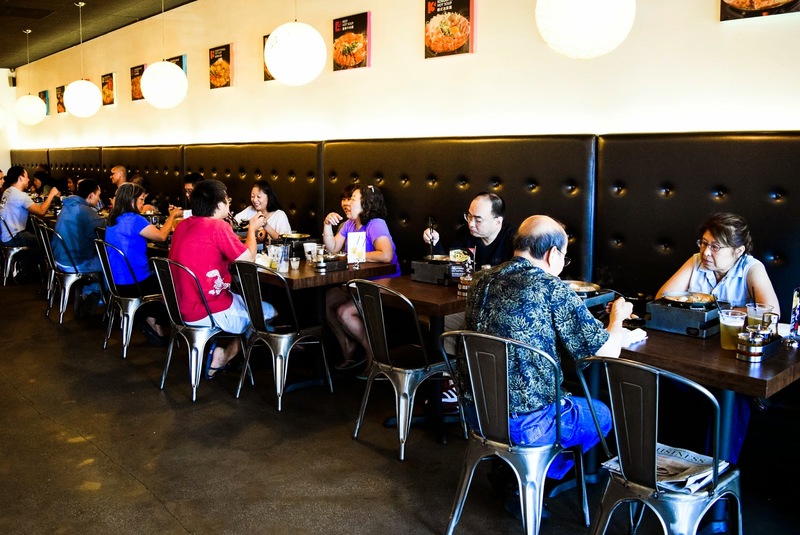 All in all, Boiling Pot is a great deal to come for during lunch. The pots are all chuck full of ingredients (with plenty of meat and not too much cheap fillers) and the extra free drink is a nice bonus. One thing I want to point out though is that I don't think the large sized pots are worth it. The only difference between my mom's pot and mine/my dad's was that it had ramen noodles added into it. For $4 more? Probably not. Yes, I was absolutely stuffed by the end of my meal. Yes, I went back multiple times during the same local. Absolutely no regrets. 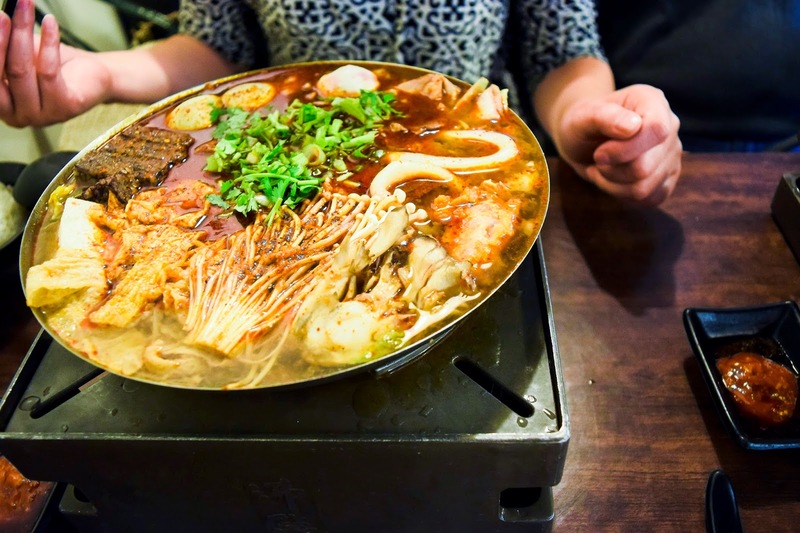 Dear Boiling Point gods: please open up a location in Atlanta or Annandale? I write about what makes me passionate: food, fitness, puppies, excessive use of memes, and having some fun in this messy life.